Join the Ultimate Montreal Afternoon Tour and spend a relaxing afternoon taking in all the city’s major “must see” sights and attractions. Sit back and enjoy the views as you go on a guided driving tour of Mont Royal, a historical tour of Montreal’s Old Town, a river cruise, and a trip to the top of the Observatoire. Enjoy exploring the beautiful city of Montreal at a slower pace with the Ultimate Montreal Afternoon Tour. This exciting guided tour takes you to all the major attractions and sights throughout the city all in a single afternoon. Ideal for anyone who wants to just see the “must see” sights, people short on time, or business travelers who want to see the city but have other obligations. No trip to Montreal is complete without a stop at Mont Royal which is first up on your tour. Our experienced tour guide will take you on a guided driving tour through Mont Royal. We do the driving so you can sit back and take in the sights. There will be just enough time on this driving tour to make brief stops at St. Joseph’s Oratory and a great area to take in a scenic view from Mount Royal. Along the tour, your guide can provide you with interesting historical facts. 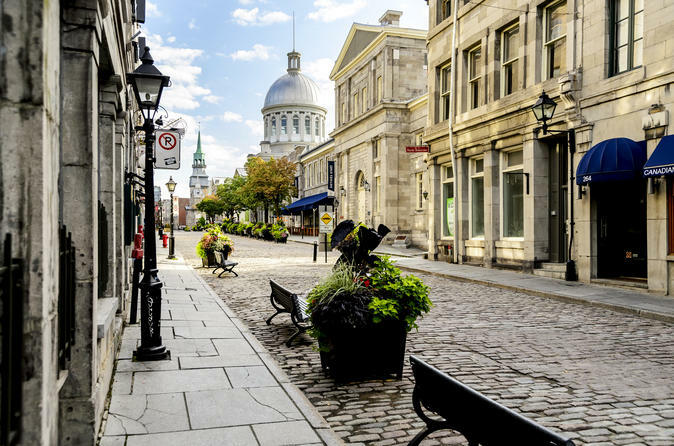 The driving tour ends with a stop in Montreal’s Old Town where you will be able to see the majestic Notre Dame Basilica. After briefly looking around Old Montreal, you will head over to the Old Port of Montreal where a relaxing river cruise is waiting for you. Board the cruise boat and prepare for a memory-making tour down the St. Lawrence River. We saved the best for last on this tour – Observatoire. On this stop on the tour, you will step into an elevator that will whisk you up to 617 feet (188 meters) above the ground. Once at the top of the observation deck, there won’t be an area of Montreal you can’t see as you will be treated to 360-degree views of the entire city. Make sure to capture these views on camera because they are something you will never want to forget.